Dal is quintessential to any Indian meal. There are many variations of dal across India depending on the type of lentil used and the spices and tadka /tempering given to the dal. 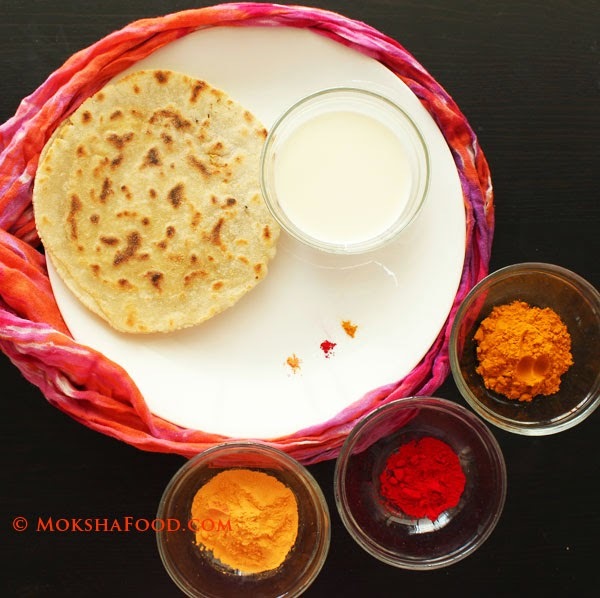 The most common lentil used for dal preparation is tuvar dal/split pigeon, yellow moong dal, chana dal and masoor dal. 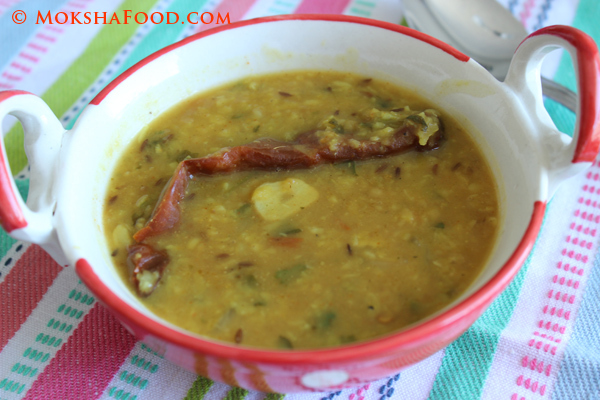 Dal is the protein aspect of a vegetarian meal. But sadly its not consumed in large amounts to provide the sufficient amount of protein. A large bowl of dal on every meal is essential in addition to the various vegetables and chutneys/relishes to provide a well balanced vegetarian diet. 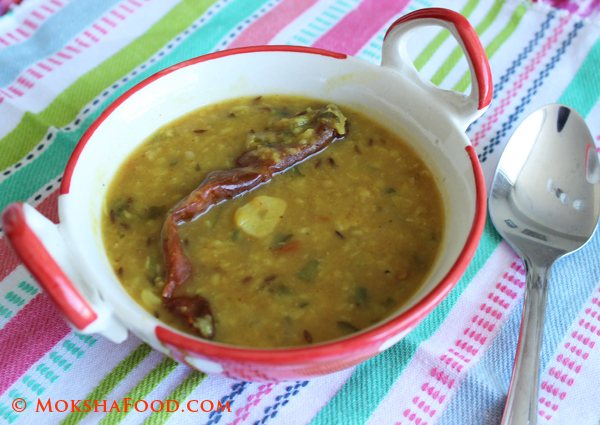 Dal Fry is one such recipe of dal where it taste so good that I can eat it by the bowlfuls. Its a hot favorite on restaurant menus too. 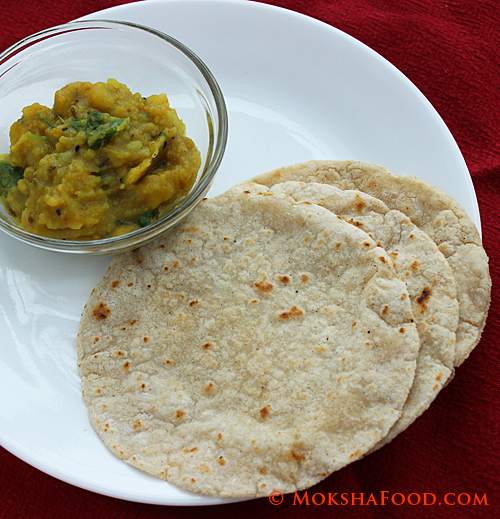 I prefer to use yellow moong dal as it cooks easily on a stovetop and then temper it with different spices. 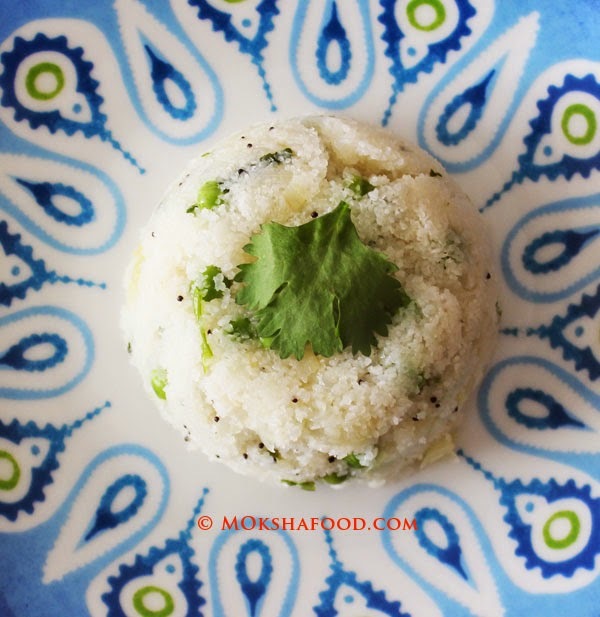 Dry roast the yellow moong dal in a pan till fragrant and the color changes slightly. Wash the dal in many changes of water. Cover the dal with enough water and cook it on medium heat till done. Skim off foam as it cooks. Set aside. In another small pan, heat 1 tbsp. of oil. Temper with 1/2 tsp of cumin seeds and let them crackle. Add in the sliced onions and saute gently till they carmelize and brown. Stir in the minced garlic and grated ginger. Tomatoes go in next and cook the till they are mushy. Add in the spice pdrs -turmeric, red chili, coriander and cumin. Saute for another 5 mins till all spices are cooked well. Pour this seasoning into the dal. Mix well. In another small pan, heat 1 tbsp. of ghee. Temper with remaining 1/2 tsp of cumin seeds, 1 red chili and the sliced garlic. Cook till the garlic browns lightly. Pour this tempering over the dal and garnish with cilantro. Taste great by itself. It can be also had as a lentil soup.